Lethan’s story “Who Am I, Again?” not only officially launched http://tbivoices.com it also helped to frame the inquiry of other stories. 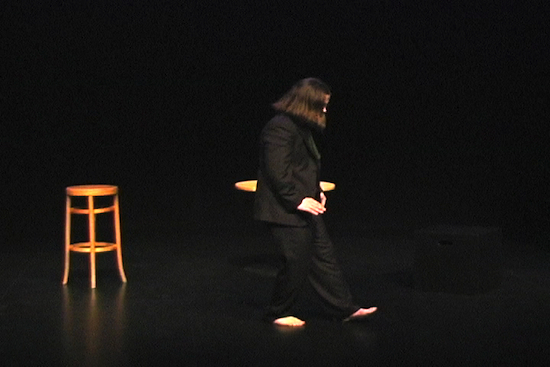 I have now listened and watched 15 support groups respond to Lethan’s story, and the part that resonates the best is his dramatization of relearning to walk. And I remember it being hard and frustrating. Kind of embarrassing having to be re-taught how to do things that I knew I should know how to do like walking. Walking technique. Heel, toe, heel toe, heel toe, heel, toe, heel, toe. But I wasn’t doing it right so I had to keep practicing. To read it takes but a few seconds. But in the video, the ordeal, the frustration, the embarrassment of having to relearn something – learned as a toddler – is so vivid, so tangible, so arduous, that Lethan does succeed. In that one scene he does succeed – at least this once – in making even those who have never been through it, understand. More important than that one glimpse into Lethan’s life of disability, is that it creates a bridge to better understanding the other tangible difficulties that relearning life including relearning to walk involves. Relearning to walk. Heel toe, teel toe. For the survivor of severe brain injury, it is not just walking that has to be relearned. There is a need to go slow, to heel to toe so much of life. Memory, conversation, shopping – they all work better when done step by step – heel toe, heel toe. Speech is more complicated, less universal, yet it is like walking, something learned as a child that is much more difficult to learn with an injured brain versus a developing brain. But like children, while survivor’s learn at different rates, virtually all do learn. For some the heel/toe may start not with parallel bars, but by learning to stand in a sling. Yet the brain is ever evolving, ever plastically restructuring its neuronal pathways, enabling it to one step – at – a – time, move forward on the journey of recovery.